John Stevens is a Springfield-based Partner in the Government and Regulatory Law Practice Group. John assists clients in areas including Government Relations, Procurement, Gaming, Lobbying, Insurance Corporate Representation and Regulatory Law. 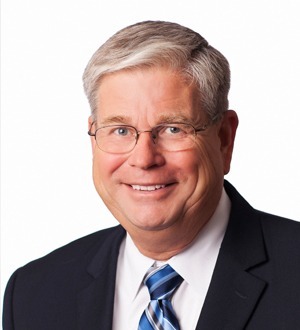 He has more than 30 years of experience in assisting clients with legislative, regulatory, government procurement and public employee collective bargaining issues. John’s experience includes developing and implementing comprehensive government relations programs, drafting complex legislation, lobbying the legislative and executive branches of government, negotiating and administering public employee collective bargaining agreements, and counseling clients on asset privatizations, public pension issues, public finance issues and municipal bond sales. He previously served as General Counsel to the Illinois Attorney General and two Illinois Comptrollers. His past experience also includes serving as Chief Counsel to the Governor's Office of Management and Budget (formerly known as the Illinois Bureau of the Budget), Deputy Counsel to the Governor and legal advisor to the Procurement Policy Board. Since joining Freeborn more than a decade ago, John has planned and implemented State government relations programs, including legislative and executive branch lobbying, government procurement and contracting assistance, gaming acquisitions, licensing and regulatory compliance initiatives. He has been successful in passing, amending and defeating many legislative initiatives on behalf of his clients. He also assists both corporate and not-for-profit clients with licensing and franchising issues, and with economic development issues, including securing State grants, loans and other economic incentives for businesses locating or expanding operations in Illinois. As a member of the Firm's Transportation Team, John Stevens works with transportation clients to plan and implement government relations programs. In addition, John guides clients with public contract procurement strategies including developing legally compliant marketing programs and responding to regulatory issues such as contractor debarment and bid protests.